Another week of Houston Rodeo, another week of western wear. This time with a little less frills and a little more leather to symbolize the no-nonsense attitude you can feel in that crisp NRG air when calves refuse to be tied down and bulls try to jump out of their pens. Kinda like when I release my pent up aggression from being confined to a cubicle all day by treating myself to an almond croissant on ze way to work (arriving 10 minutes later than usual? So be it!). Rock on and rodeo on, amigos. It's not lost on me how amusing it is for a Cuban-from-Miami to embrace the boot-scootin' Rodeo cowboy-culture with wiiiide open arms. Of course, I'm a huge noob (e.g. currently playing Garth in my cubicle on super low volume in attempt to proactively confront my nightmare of the .01% chance the cameras zoom in on me tonight while I look like this). 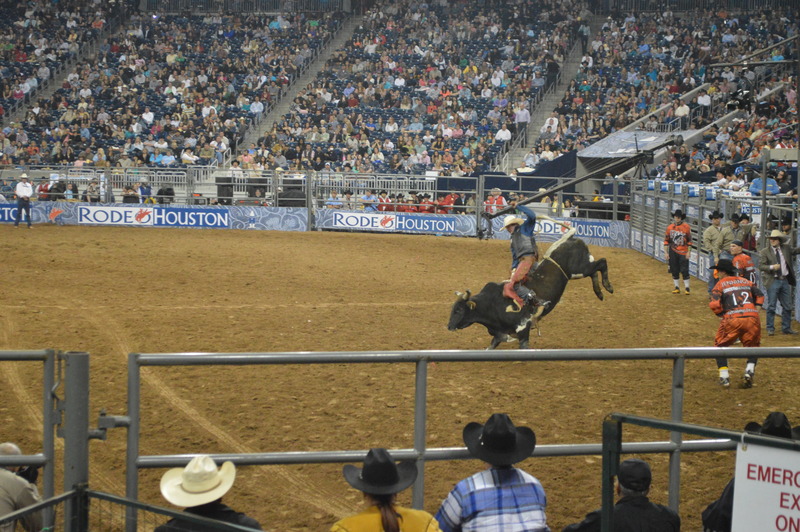 But I can't help but lurve when the Rodeo comes to town for exactly that reason: it's amusing. It makes the month of March fly by, it provides me with ample opportunities to play dress up, and I get my fill of margarrrritas and fried anything. It gives me the perfect dose of cheesy, on-theme, yes-I-live-in-Texas-although-I-don't-know-the-words-to-these-songs vibes. And as I say with most things, walking the walk is good enough - especially if you're walking in some good botas! You don't have to be born in Texas - you just have to spend enough time in Texas - to know there are boots, and then there are boots. While there are the obvious differences in fit and style, the point at which a boot becomes a boot ultimately depends on the quality and craftsmanship. And now that you've allowed this Miami-Texas-transplant give you the very brief 101, lets skip a few chapters (we're quick learners over here) to the luxe boot. It's more than a boot - it's a bespoke, handcrafted cowboy boot that is as superb in quality as it is iconic in style. It's a rare breed, but the species can be found at Miron Crosby, the Dallas-based boot brand and Highland Park Village store spearheaded by sister duo Lizzie Means Duplantis and Sarah Means. By combining their Texan roots with the lingering influence of some years spent in New York City, Lizzie and Sarah have cemented their fashion-forward focus and are elevating boot-making into an art form. Their masterpieces have already harnessed a unique aesthetic, whose defining features include jumping stars (mis favoritos! ), retro tassels, and chic stitching. Each pair of Miron Crosby boots - whether for women, men, or children - are made by master artisans in the 160-year old Rios of Mercedes Factory in Mercedes, Texas. But this month their boots are coming to Houston and you best believe where they go I will follow with bells on. I'm super excited to be one of the hosts of the January 25th and 26th trunk shows, which I'd also be super excited for you to attend (details below!). If we haven't met in person yet, you'll know it's me when you see the girl doing this in corner with some Miron Crosby on (intimidating? never; scary? always). Shop Miron Crosby's stock collection of women's boots here. Feel free to send me an email (upthegetup@gmail.com) or a message (@UpTheGetUp) for trunk show details! Would love to see you there!